Though some Dwarven automatons were clearly designed for defense of the facilities in which they're found, the function of other constructs is less clear. Some appear to be tasked with maintaining other machines, lubricating joints and replacing worn-out parts. 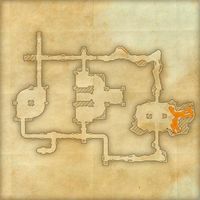 Aldunz is a Dwemer ruin in the southern Alik'r Desert, east of Bergama containing Dwemer constructs. Molten Pearls of Alik'r Desert: Gather a molten pearl from a Dwemer ruin and prove your bravery. The Precursor: Assist an Apostle in reassembling an ancient factotum with pieces from all across Tamriel. Aldunz Ruins Explorer 10 Explore and clear the Aldunz Ruins. This page was last modified on 19 November 2018, at 05:18.